On July 8th, Cái Răng urban district organized the Opening for Cái Răng Floating Market Tourism Festival and recognition of Cái Răng Floating Market culture as the National non-tangible Heritage. 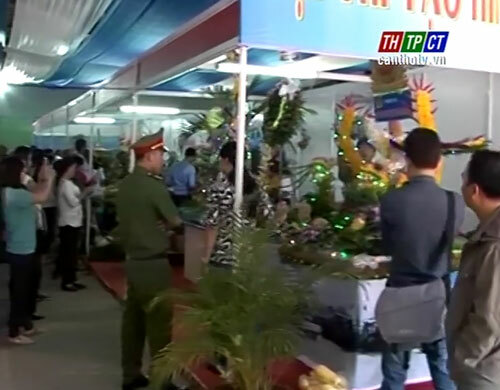 These are activities at 40 stalls including beautiful Cái Răng Floating Market images, boat and ship models, traditional products, food and fruits, fruit design, and so on. At the opening ceremony, these activities attract a lot of tourists from different places to figure out. On July 9th, Cái Răng district continue opening Cái Răng floating market tourism day, receives the title of national intangible cultural heritage, organizes tourism boat and shop parades on Cần Thơ river, exchanges of Đơn Ca Tài Tử and the 2nd Composite boat racing 2016, and at once, holds the closing ceremony for the festive day./.